Interacting with a host family in the village of Vrang. 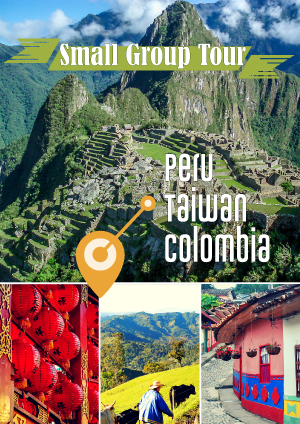 That tradition of hospitality is convenient, too, given how much time you’ll want to spend in the mountains here. The Fan Mountains offer a ton of valleys to explore or peaks to climb, and the Pamirs boast a number of 7000m+ peaks. 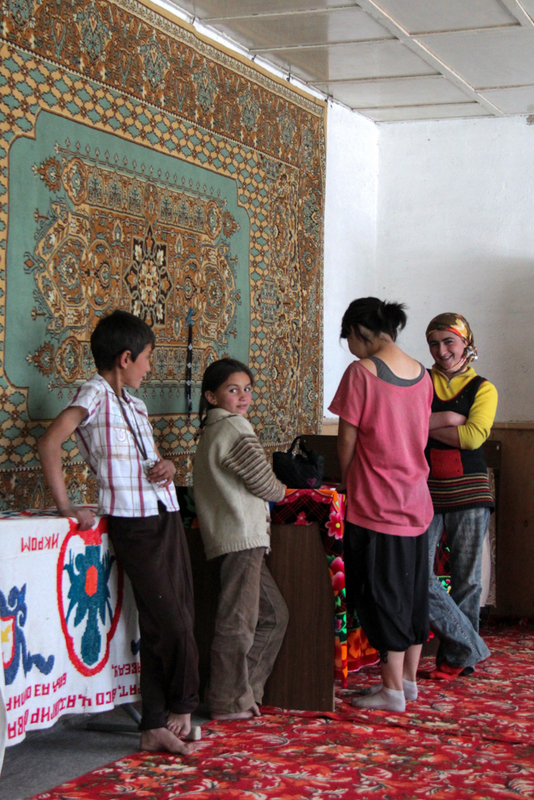 Whether your joy is hiking, skiing, rock climbing, or peak bagging; Tajikistan offers it all. If those mountains seem a little too high to climb, enjoy the view instead from the old Soviet sanitarium of Iskander-Kol. 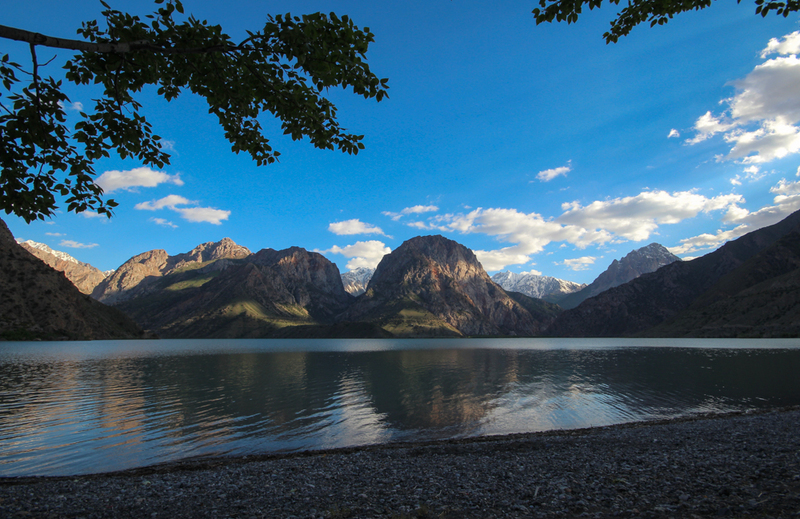 Only a half day’s drive from the capital, Dushanbe, Iskander-Kol is a beautiful lake surrounded by towering mountains. The sanitarium is really just a bunch of run-down cabins surrounding a central dining hall/ games room, but with the right company the camp is an excellent place to relax. The ambitious could also hike from here deeper into the Fan Mountains. Iskander-Kol from one of the sanitarium’s lakefront tapchans. 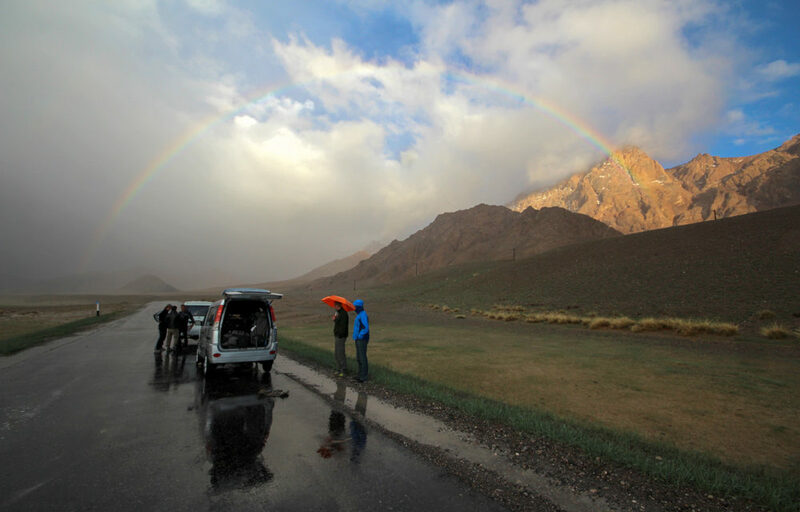 An increasing number of travelers are choosing to overland Europe to Asia by bicycle, and the Pamir Highway is said to be one of the most sunning landscapes of the entire trip. Public transit and hitching are also options if you didn’t pack your biking shoes, but make sure to spend some time in the area before leaving Tajikistan. You wont regret it as you pass miles on end of snow-covered mountains sparkling light with yellow icing like a mirror for the sun. 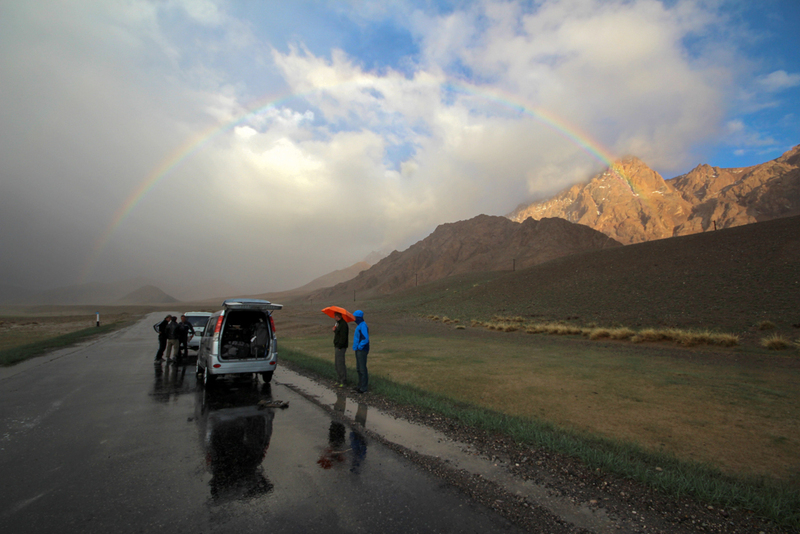 A brief flat-tire break on the Pamir Highway. Throughout the Pamirs, but most accessibly in the Wakhan, thousands-of-year-old petroglyphs are carved into the rocks of these towering hills. The easiest to visit are above the Wakhan village of Langar, but of course this accessibility also means these are the least-preserved and protected. Check the excellent map produced by Markus Hauser for details on carvings further removed from modern civilization. Near those Wakhani carvings are also quite a few natural hotsprings. After several days of shower-less walking through these mountains, a dip in a natural hottub is just the thing. My vote for most atmospheric goes to the Bibi Fatima Springs, named after the daughter of the Prophet Muhammed and located above the village of Yamchun, these waters pour from the mountain into a covered bathing area with natural stone benches. Bathing times alternate between men and women every half hour. 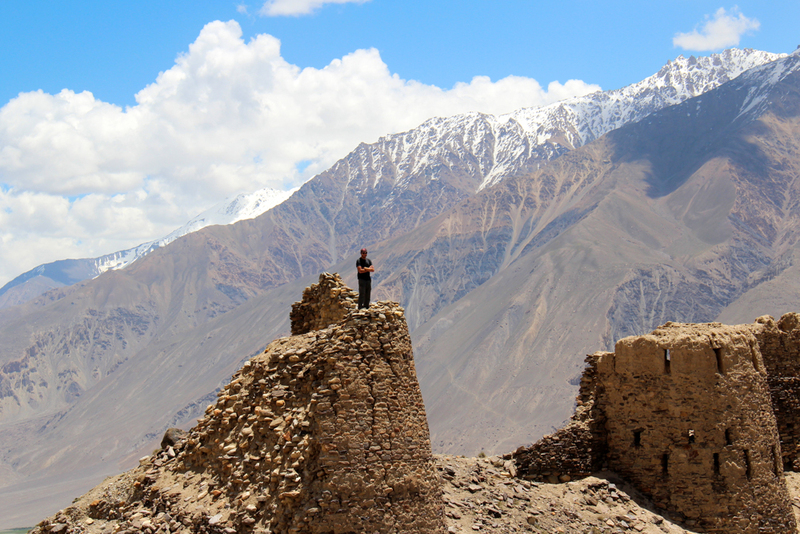 Exploring the Yamchun Fortress in the Tajik Wakhan. As if imposing nature weren’t enough, the Tajik stretch of the ancient Silk Road is also still home to the remnants of a number of ruined fortresses. 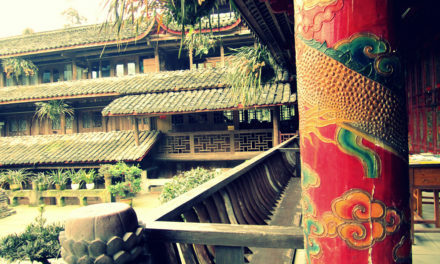 The most impressive of these, near the village of Yamchun and those excellent springs, is the Yamchun Fortress. Standing on the parapets of this Silk Road outpost, it becomes easy for one brief moment to see the area as Marco Polo must have on his passage through the Wakhan so many centuries ago. At three settlements in the Pamirs (Ruzvay, Khorog, and Ishkashim) a weekly market sets up between the border of Tajikistan and Afghanistan, its southern neighbor. 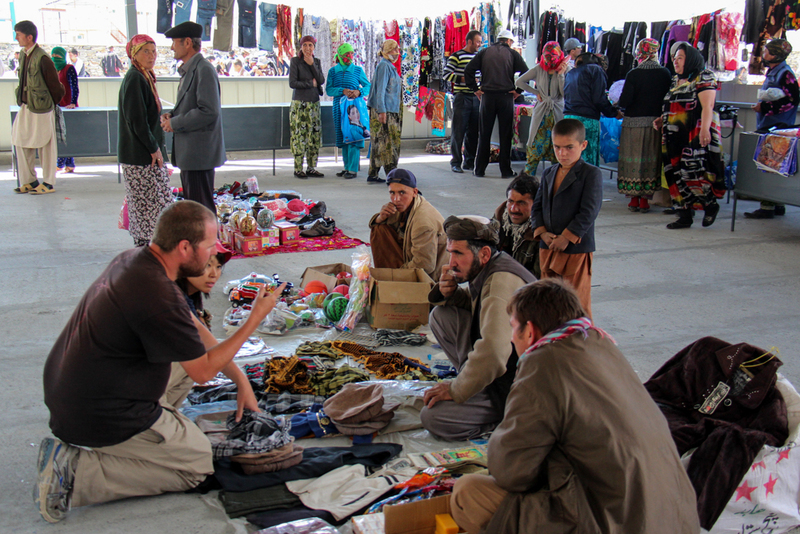 When local security conditions are considered stable, tourists are often allowed to leave their passports with border guards and proceed into this no-man’s-land between the two countries to shop alongside Tajik traders and Afghani merchants. For anyone not planning to continue to Afghanistan, this is a great opportunity to speak with Afghanis and pick-up souvenirs like pakol hats or salwar kameez clothing. 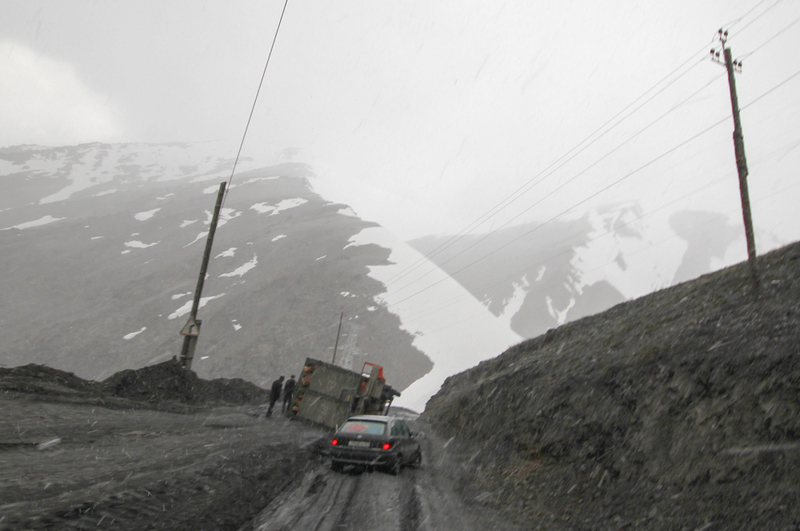 Overturned trucks and the wreckage of plummeted cars are not unusual sites on the higher passes of the Tajik highways. While this last may not be a highlight in the moment, looking back at some of the many wreckage-strewn passes crossed on Tajik roads is definitely a bonding point for travelers to the region. The 5k Anzob Tunnel, though, is generally considered the worst of Tajik roadway experiences. This smoky and unlit section of construction is flooded year-round and littered with rubble and machinery. Please, for your own sake, do not attempt this on a bicycle.